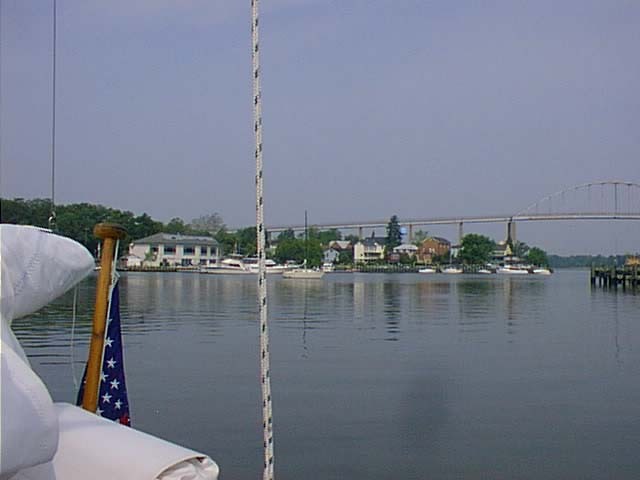 Fog, an evil current, and a foul wind make the Delaware passage less than favorable. We finally reach the C &D Canal at 2130. Where the h*ll is it? We finally find the "street lights" of the canal and we relax. But what about the Conrail lift bridge? Nobody will tell us if it is down or up. Ah, at 2245 we find that it is up. At 2345 we anchor at Chesapeake City. Drinks for everyone! 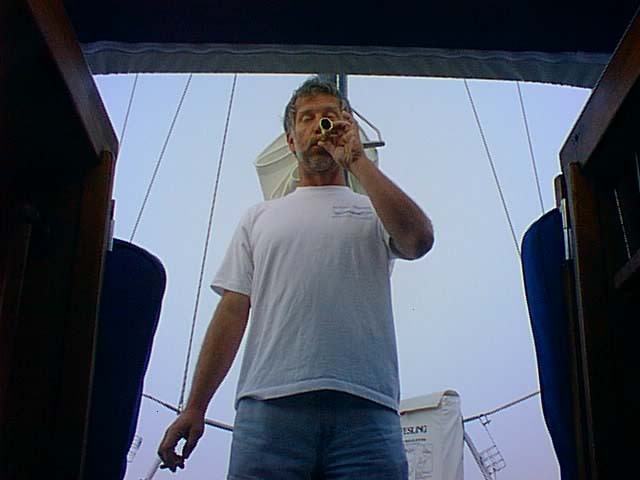 Mr. Fog Horn: A COLREGS approved fog horn but do we have to do this every two minutes? 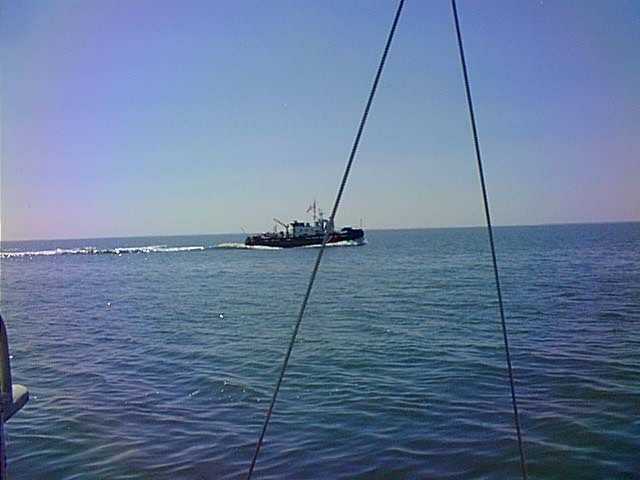 A Tug on the Delaware Bay: A friendly USCG tug passes to port and waves as they pass. One of the few highlights of the Delaware. Chesapeake City: Leaving the City after brunch, WC, and shopping. Since our son broke himself (shattered ankle), we were anxious to get home.